Homeowners - insures an owner occupied dwelling. Renters - insures the contents of a residence that you rent. 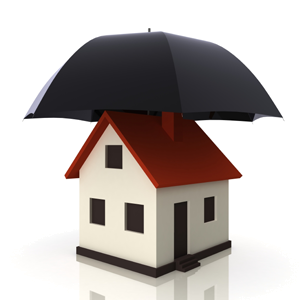 Condominiums - insures an owner occupied condominium. Flood - insures property against flood. Landlords - insures a dwelling, condo or mobile home that you own and rent to others. Commercial Property - insures a commercial building and/or business property that you own. b. Other Structures - This includes other buildings on your property that are not attached to the main building such as a detached garage or storage building but could also be a fence or swimming pool. c. Contents - This includes furniture, appliances, clothing, rugs and lawn equipment that are not attached to but are contained in the building on your property. Does not include motorized vehicles except those used for maintaining the property. d. Loss of Use - This coverage pays for extra expenses after a direct loss, for instance the cost to rent a house during the time you cannot live in your house during a covered loss. e. Liability - This covers the cost of injuries or damages to non residents and non family members for which you are responsible. f. Medical Payments - Covers the cost of injuries to non residents and non family members regardless of liability.